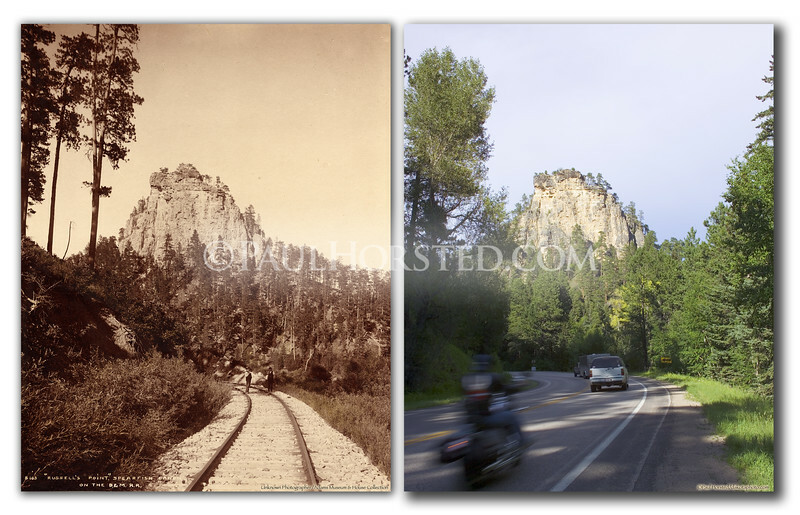 Unknown photographer, view of Spearfish Canyon area noted as "Russell's Point" on the front of image. Historic image courtesy Adams Museum & House. Rail bed is still visible in some areas of the canyon, but here it goes under the present-day highway. Historic image courtesy Adams Museum & House. ©Paul Horsted, All Rights Reserved.